Is it fair to refuse to give a right of appeal against dismissal if the employer believes the appeal is futile? Mr Afzal was employed as a pizza delivery driver and had time-limited leave to work in the UK – but failed to send any evidence of his application to remain to his employer. The application automatically extends someone’s right to work. Concerned with the risk of breaking the Immigration, Asylum and Nationality Act 2006 by continuing to employer Mr Afzal, they dismissed him and, as they thought he couldn’t work in the UK, did not give him the right to appeal as it would have been futile. He claimed unfair dismissal in the Employment Tribunal (“EAT”) but lost – it found that the employer genuinely believed that Mr Afzal s employment was prohibited by statute and so, his dismissal was fair. He appealed to the Employment Appeal Tribunal and won. The EAT noted that although the employer had a genuine belief that his employment was prohibited, the belief was wrong. If an appeal had been offered and Mr Afzal had produced evidence to satisfy them that he was entitled to work, the employer could have reinstated him without fear of prosecution. His appeal would not have been futile. 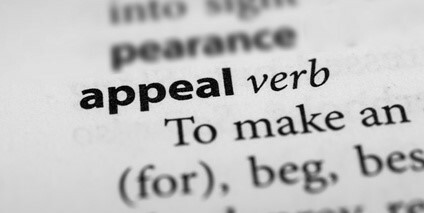 The EAT expressed a view that in the circumstances, the dismissal ought to be held to be unfair in the absence of an appeal. The appeal process is an important part of natural justice, and in disciplinary dismissals a failure to offer a right of appeal would be a breach of the ACAS Code of Practice on Disciplinary and Grievance Procedures could lead to an increase in any compensation award. Failure to offer this right therefore, even where the case seems clear cut, could be a costly mistake. You can read the judgment of Afzal v East London Pizza Ltd t/a Dominos Pizza here.